Good afternoon, I have just installed a new Kenwood KMM-BT504DAB using a https://www.dynamicsounds.co.uk/bmw-1-3 ... erial.html and have no power to it. I haven’t split the red cable to the fuse box yet as I was under the impression that this was only needed for the settings to remain when the engine is off (Bluetooth/ radio stations etc). Could it be that this is what will be providing the power? I have a 56 plate 320d M Sport. I thought yellow was permanent live for Settings Memory? Red is switchable from the ignition, no? The dynamic sounds site says connect red to fusebox. Hmmm.. how many times have I seen the need to swap yellow and red? (Rhetorical). If memory serves, I think it HAS to have both red and yellow with power before that one turns on. If you only have one, then its not going to play ball. Wire up the other, then see how it goes. Then set the presets, turn everything off and lock up for half an hour, and see if it retains the memory. If not swap those pesky red and yellows - some need it, some dont, and I have not found any sense to why. If you’re still having problems, post a pic of the back of that quadlock connector, and both sides of the connection into the HU. Anything can be checked from those. Thanks for this, I’m collecting my breakout blade fuses tomorrow after work to take a look at this. Are there any wiring diagrams you have come across to do this at all so I make sure I’m doing it correctly? Thanks all, appreciate the help. 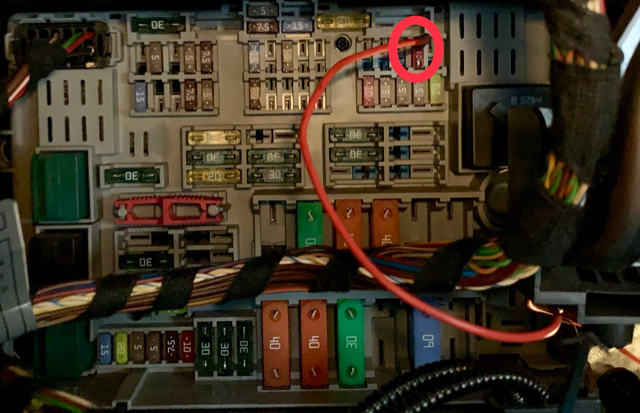 I have tapped the red wire from the ISO adapter into the existing stereo fuse in the box however this is not turning on and off with the ignition. It does remember the time, date, paired phones and stations so I just turn it off when I get out the car. Ignition fuse is 30a and stereo running on a 10a so didn’t want to risk swapping that out! I’ll keep testing then move on to the steering column controls. Now the stereo comes on ONLY when the start/stop button is pressed regardless of the engine being on or off! Exactly what I wanted, hopefully this helps someone in the future.